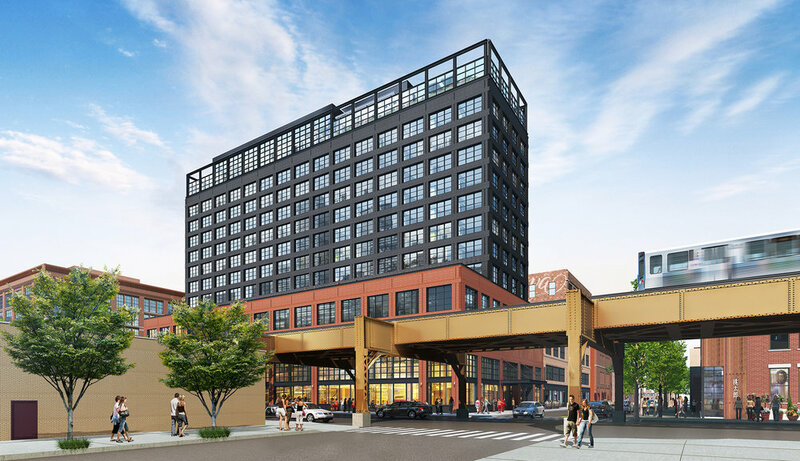 Hoxton Chicago is a new construction, 12-story, 182-key hotel located at 200 N. Green St. in Fulton Market district. With bars and restaurants by Boka Restaurant Group including seasonal Mediterranean dishes at all-day restaurant Cira by Chef Chris Pandel, Peruvian-inspired fare at Cabra Cevicheria on Hoxton’s rooftop by Chef Stephanie Izard, and Lazybird, a dimly lit piano bar tucked beneath Hoxton. The hotel includes the Apartment, a meeting and events space on the mezzanine and a rooftop pool overlooking Chicago’s skyline and Fulton Market district. The Chicago location is London-based Hoxton’s 7th hotel with locations in London (Shoreditch and Holborn), Amsterdam, Paris, Williamsburg and Portland. Shapack Partners developed Hoxton Chicago and performed both the landlord work and tenant build out.